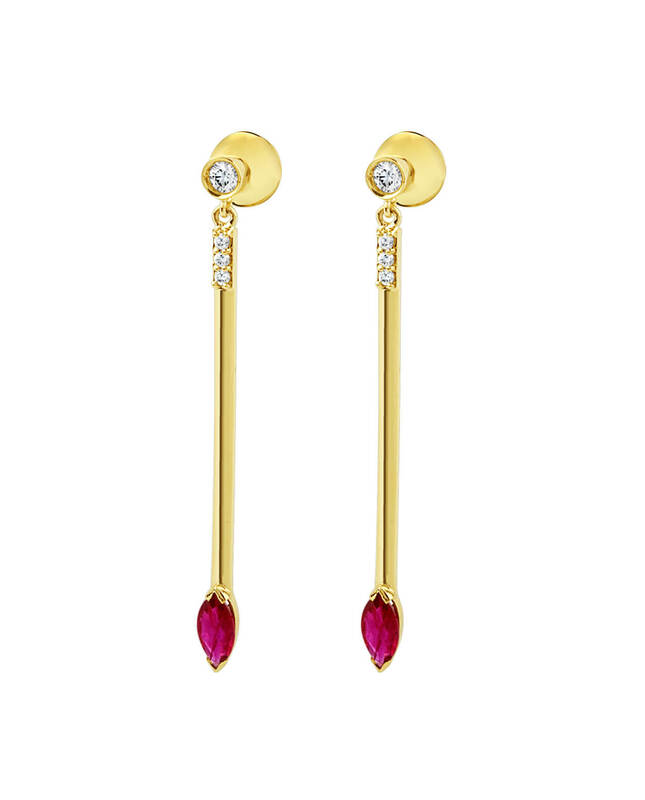 Elegant long earrings from our Baguette Collection. 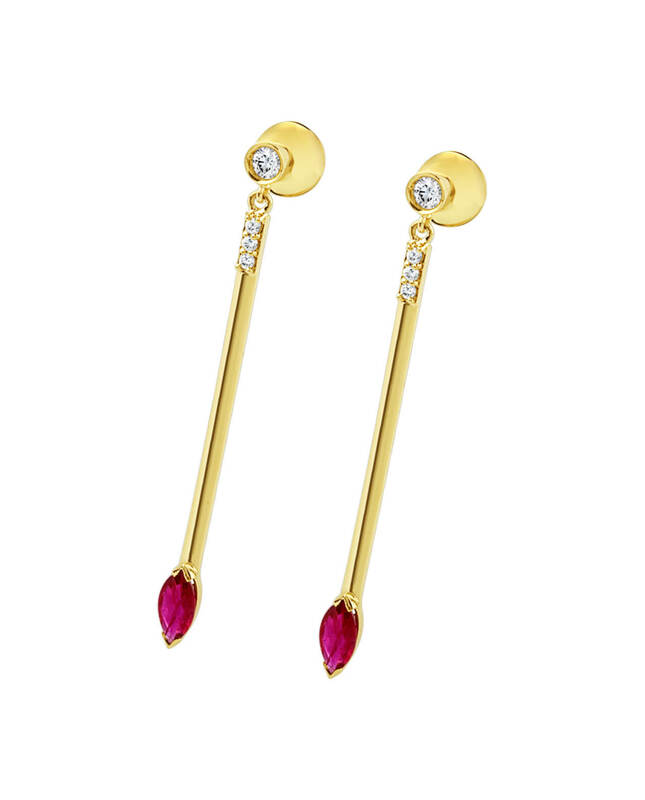 Like a magic wand, the golden stick gently falls down to end at a marquise-cut ruby. Two round-cut diamonds are set along with a row of brilliant-cut diamonds that gives a fabulous shine to the piece. An enchanting creation made entirely by hand in 18-carat gold.